This is an excellent work of regimental history. Nichols great flow and style is backed up by meticulous research and fact checking. 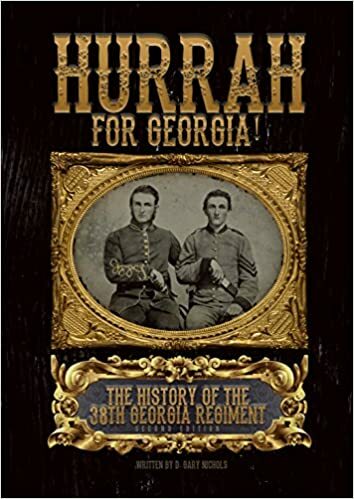 This beautifully laid out book contains dozens of hard to find photographs of members of the 38th Georgia Infantry. I was glad to see a history of the 38th Georgia Infantry as this was the regiment in which both grandfathers of my mother served. The vivid detail and thorough research Nichols poured into this project brings the actions of these men to life on the page before you. Overall, this is among the best regimental histories I have read. This should be in the collection of any Georgian, or any military history buff, who wants to understand the bravery and sacrifice of the common citizen in this bloody war. I recently had the pleasure of taking a trip to attend the Vince Dooley Leadership Conference at Kennesaw State University. There were many fine speakers along with Coach Dooley, the legendary football coach of the national championship University of Georgia team in 1980. It was a great joy experiencing this. On a side trip into Atlanta, my brother and I got to visit Historic Oakland Cemetery right in the heart of town. There are a number of notable Georgians buried there — Lt. Gen. (later Governor and Senator) John B. Gordon, golfing great Bobby Jones and Margaret Mitchell — to name but a few. The sculpture known alternately as either the Lion of Atlanta or the Lion of the Confederacy stands guard over the unknown soldiers in the Confederate section. All great sites, but we had an even greater mission. We have family in that section. Wiley William Dye, the younger brother of my great great grandfather Thompson B. Dye was a private in the 9th Georgia Battalion of Infantry, Co. D when he became ill in 1862. He passed away in the Fairgrounds Hospital near the cemetery on November 30, 1862. Thanks to the efforts of Rachal Grizzle through the wonderful site, Find A Grave, I was able to locate this uncle’s final resting place. It appears that the city or state had provided stones for the identified veterans at some point. There were many uniform markers that appear to predate the Veterans Administration markers later provided. W.W. Dye stone seeing light of day first time in decades. There was a problem, however. His grave rests at the base of a stately old magnolia tree. The tree had greedily claimed the stone many years ago and had sucked it down into the ground. The old Polaroid picture Mrs. Grizzle had posted on Find A Grave was taken in 1998 and has several inches of stone showing. It is hard to tell, but it appears that some of the name might have still been visible. Twenty years later, though, that was no longer the case. Barely two inches of stone remained above ground and the name was then far beneath the soil. Another decade and it would likely be gone altogether. W.W. Dye stone in a new base. I enlisted the aid of the cemetery’s preservationists, Ashley Shares and Sean Diaz, to correct this and less than two weeks later, the stone was extracted, mounted on a new base and now signals that Wiley W. Dye is not forgotten. W.W. Dye grave now restored. Set in a base a safe distance from the tree. 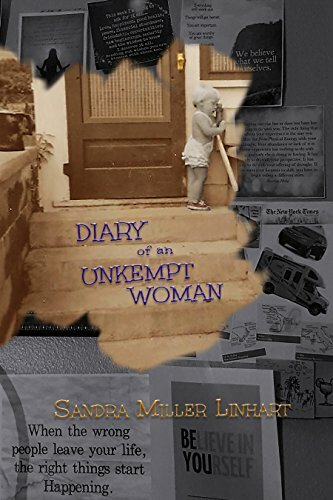 The only complaint I have about “Diary of an Unkempt Woman” is that the title tends to shy most men away from reading it. That’s a shame. There is a lot of funny social commentary in this book that would be enjoyed by all. This book is a great collection of short pieces that will make you smile whether you want to or not. Don’t let the title fool you, while it is by a woman, it’s not just for women. This book presents a great collection of accounts that brings the battle into focus from the perspective of the Texas soldiers. With an introduction to orient the reader to the facts of the overall operations of the Texas Brigade, the story then shifts to the actual words and experiences of the veterans themselves. 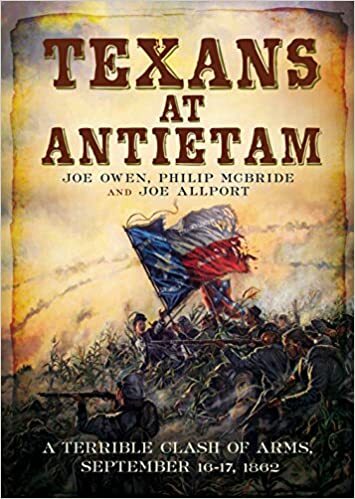 Lovingly illustrated with photographs of the people involved and items such as battle flags, this book is a must have for any Texas history bookshelf. For so many, their knowledge (if they bother to have any) of the so-called American Civil War ends with Lee’s surrender to Grant at Appomattox Courthouse, Virginia. What most don’t know is that there was still a much larger contingent of Confederate troops in the field that those surrendered by Lee. Most belonged to the Army of Tennessee (not to be confused with the Union’s Army of THE Tennessee – Southerners prefer land and the Union army seemed to prefer bodies of water for naming purposes for some reason) which was under the command of Gen. Joseph E. Johnston for the second time in its life. “We Ride a Whirlwind: Sherman and Johnston at Bennett Place” is the first comprehensive work dedicated to the War’s largest surrender. Eric Wittenberg provides great detail of the three meetings between Maj. Gen. William T. Sherman and Gen. Joseph E. Johnston in which they negotiated the surrender of the remaining Confederate forces east of the Mississippi River. 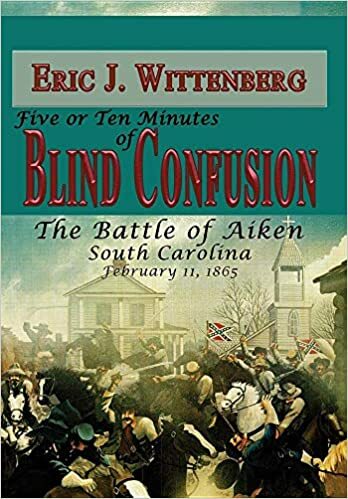 He wraps the events leading up to the meetings, the events of the meetings, the dynamics within the Confederate army and government and the fallout into his usual smooth narrative. Included are appendices covering the forces involved, Lincoln’s meeting with Sherman, correspondence within the Davis administration and the sub-plot of Lt. Gen. Wade Hampton and his dilemmas surrounding the surrender. The surrender of Johnston’s forces was not a fait accompli, in fact, there was a very real possibility that he could flee to the mountains with his army or head south to Texas or west to continue the war on a guerrilla basis. Johnston did not want this any more than Sherman did, but the terms had to be acceptable before surrender was an option. Sherman took this knowledge and fear into the first meeting. He also carried another piece of information that neither Johnston nor the members of either army knew, the assassination of Lincoln. Sherman knew that once this became common knowledge, the behavior of his army would become worse and his odds of reaching an accord would lessen. He had a strong incentive to act quickly and the directives that Lincoln himself had given to guide him. Wittenberg does yeoman’s work in communicating the complex interactions that resulted in the final meeting and aftermath. Beautifully illustrated with photographs and maps, this book takes you into the events of April, 1865 at the Bennett farm then brings you forward to the present. This book is a must have for any serious student of the Civil War. Part 1 spoiler alert – if you have not read Jigsaw (Part I), proceed to your favorite book source and order it now. Then come back and read this. You will thank me later. The shock ending of Jigsaw (Part I) segues into a surprise beginning to Jigsaw Part II. Cape Thomas’s seemingly mortal bullet to the brain, as it turns out, was not so mortal after all. In Part I, Captain Cape Thomas had struggled to solve a mystery. In so doing, he discovered that he had a whole family he was unaware of, complete with a grown daughter. Then as quickly as this new life is found, it is snatched away in what the reader is led to believe is Cape’s final act of altruism. A bullet intended for Cape’s daughter Jana, is intercepted by Cape as he jumps in front of her. As this book begins, we discover that Cape is alive and has been in a coma for three years. Cape leaves the hospital with one goal in mind: regaining his job as a 747 captain at Aeromax Airlines. Cape slowly regains his health only to find himself in the middle of a new mystery. This one deadlier than the last, in fact it may threaten his entire family. Cape has a deadly stalker, but despite numerous opportunities, this pursuer passes on the chance to kill Cape. Instead, those close to him appear to be at greater risk. No knowing who to trust, Cape navigates a landscape between faith and doubt in Detective Darius Martin and Sheriff Scarlett Dubois. These challenges force Cape to reevaluate his priorities. Can Cape solve the mystery in time to save those dearest to him? Will he regain his flight status and job? Which kind of life will Cape want to end up living? Will all of this be snatched away from him once more. This book is liable to cause you to have more than one late night as you chase down these answers. Like in his previous books, Jigsaw (Part I) and The Last Kincaid, Ted Miller Brogden totally rocks the landscape of Eastern North Carolina in Jigsaw Part II. As I take a moment to reflect on the carnage and the high human costs surrounding the anniversary of the most famous battle fought on American soil — the Battle of Gettysburg — I wanted to acknowledge the service of my ancestors who were present. There were several relatives, but the most closely related were my mother’s grandfathers. John Chapel Booth stormed Blocher’s Knoll (modern day Barlow’s Knoll) with the 38th Georgia Infantry, Co. H. John U. Colvard of the 38th had been detached to service in the 2nd Medical Corps due to wounds received at Gaines Mill earlier. He, undoubtedly, saw the worst any man could see, hauling the wounded from the field, tending their wounds and assisting the surgeons as they went about their grim tasks. He almost certainly had to help hold men down for amputations and other painful procedures, trying to block out the screams. Also there was Thomas Curtwright Jones of the 2nd South Carolina Volunteer Infantry, my great great great uncle. Also there was a man who I sometimes forget was not blood related, Daniel Boyd, whom I became so well acquainted with through the pages of “The Boys of Diamond Hill.” Daniel was wounded on the Rose Farm as part of the 7th South Carolina Volunteer Infantry and had to be left behind when General Lee ordered the withdrawal of his army from Pennsylvania. Both of these men were members of Kershaw’s Brigade and were among those to whom “Echoes From Gettysburg: South Carolina’s Memories and Images” was dedicated.